Time to update your insurance? The Griffith Insurance Group has been insuring families and businesses in Ohio for more than 20 years. Our mission is to provide excellent customer service as well as honest and sound advice for all of your insurance needs. Scott has been providing top notch service to businesses and individuals for over 20 years now. All ranges of insurance coverage’s are offered. His approach to helping his clients provides them with the valuable information they need without all the hard selling techniques employed by other firms. His vast knowledge of the many insurance products available allow him to “keep it simple” for his clients. If the unexpected strikes Scott and his associates are there to serve you throughout the process. After all for his clients Scott believes “it’s about the quality of life and getting folks back on track”. Jason graduated from Big Walnut High School in 2012 where he was a four year letter winner on the wrestling team. A three year letter winner for his football team, starting defensive tackle, and he a two time state champion with his Westerville Worms Rugby Club. 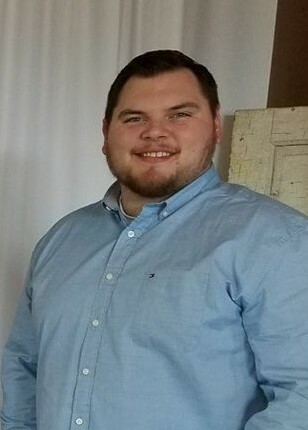 Jason attended Notre Dame College in Cleveland Ohio from 2012-2017. He received degrees in Business Management and Information System Management along with starting three years on the football team and coaching his senior season. Jason feels his athletic mentality and friendly attitude is what sets him apart from other agents in the insurance industry. Jason strives establish a deep friendly relationship to provide value to his costumers by demonstrating a clear, specific outline of needs and a deep rooted understanding of the multiple product lines he can offer. Take a few minutes exploring our site to learn about the types of coverage we provide our carriers and the educational resources we offer, and then contact us to discuss how we can help meet your unique needs. Over the years The Griffith Insurance Group has partnered with other businesses with which we have worked and have come to trust and value. Please take a minute to visit the our partners section to become acquainted with these Ohio-based businesses. © Copyright 2019 Griffith Insurance Group, LLC. All rights reserved.